Looking for an Instant Access Online Bank Account? icount > Money Guides > Bank Accounts > Looking for an instant online bank account? The process of applying for a high street bank account can often be lengthy and somewhat confusing, particularly for those with a lower credit rating than most. Typical high street banks require your application to go through a number of security checks and approvals, before informing you of their decision to accept or reject your application for a bank account with them. If you’ve found yourself frustrated with these processes, you’re not alone. If you’re one of the many individuals on the lookout for faster application processes when it comes to your bank account, discover icount’s current account with prepaid Mastercard®. Not only does our account offer you many of the same benefits that a high street bank account does, your account will be confirmed and ready to go in no time at all! 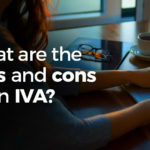 We understand how much of a nuisance it can be, having to go through a multitude of questions just to be considered for a high street bank account. In fact, when we spoke to the public about their banking frustrations, we discovered that a quarter of individuals are looking for instant bank account approval when it comes to their applications. If you’re sick and tired of applying for bank accounts from high street providers, to then wait some time before being told that you haven’t been accepted, we’re here to help. We offer a fantastic high street bank alternative that can be yours in just a matter of minutes. Simply fill in your name, date of birth, email address, contact number and postcode and your account will be set up in just a few moments. From there, you will be able to load money onto your prepaid card to spend as and when you wish! Have you tried to sign up for a high street bank account with bad credit? Having bad credit and a lower than average credit score can be daunting, particularly when thinking about whether to apply for a high street bank account. It may be that you have tried applying for a number of accounts, only to be turned down by providers because of your credit score. Whilst it might seem like an uphill battle, there are other options that will see you open a basic bank account online with bad credit, including icount’s very own current account offering. Not only will you have a current account that you can use just as you would a regular bank account, you can also use our free Creditbuilder™ tool which could build up your credit score once more. What do you have to do? Not a lot, really! By signing up to our Pay Monthly account, your monthly payment of £9.95 will be recorded and sent to credit reference agencies to show that you are paying a monthly bill on time. Not only that, but there are no added interest rates and no money is offered to you beforehand. As such, you don’t have to worry about falling into debt and instead, you can reap the benefits that our Creditbuilder™ will give to you. If you’re on the lookout for instant bank account approval to secure a final basic bank account online decision, chances are you will also want instant access to your hard-earned cash, too. With your icount current account with prepaid Mastercard®, you are able to load your money into your account quickly and conveniently, including real-time loading at any UK Post Office branch. 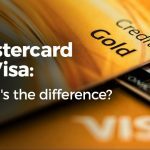 There are 6 ways in which you can add money to your card – simply pick and choose the best options for you and you’ll have money readily available in no time. icount’s i-draft which is similar to a banks arranged overdraft facility provides additional support for when you’re in need of a little extra cash from time to time. For example, if you completely forgot about your water bill arriving this month, or your car fails its MOT and requires some costly repairs, the i-draft service from icount is here to help you when you’re in need of a little extra cash. This facility comes especially in handy if you have bad credit and a high street bank will not provide you with an overdraft. Rather than opting for a payday loan which could lower your credit score even further, choose the i-draft service instead. You won’t have to worry about standard overdraft charges either, and by using the i-draft, you will not incur any charges for using it. Find out how you can have instant access to i-draft along with more details about this facility. If you’re tired of the lengthy processes that come with applying for a high street bank account, icount could be the perfect alternative for you. With instant approval on our current accounts and the ability to make an instant bank transfer online, along with plenty of other speedy services, banking has never been so convenient.